Watch The 100 Season 3 Episode 13 Online, as Clarke and the others follow Lincoln's map, searching for Luna, while back in Polis, Kane resists Jaha. Watch The 100 Season 3 Episode 13 Online and see Clarke travel with Bellamy, Jasper, and Octavia as they search for Luna in order to give her the flame of the Commander. Meanwhile, in Polis, Pike, Murphy, and Indra are held with other prisoners and plot their escape. Elsewhere, ALIE, Jaha, and Abby work to convince Kane to join them and give up Clarke's location. 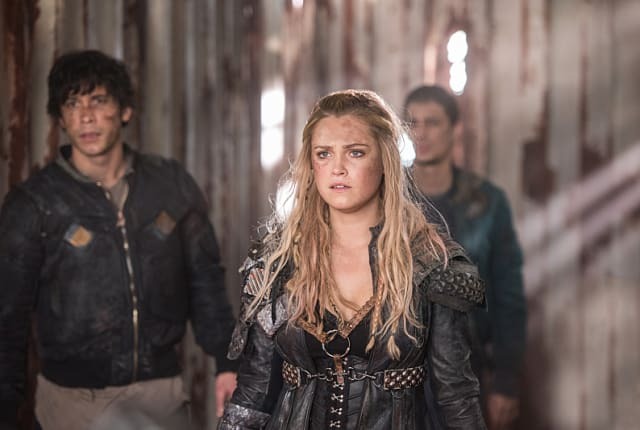 On The 100 Season 3 Episode 13, Clarke is on a mission that could change everything. Meanwhile, Murphy gains insight that might help ensure his survival and Kane reaches a breaking point.